May 16, 2017 – NEW YORK – Persado, the leading provider of AI-generated cognitive content for top global brands, today announced it has been named to CNBC’s fifth annual Disruptor 50. The list recognizes the most innovative private companies transforming the economy and shaping the future of business. Persado is named alongside Airbnb, Lyft, WeWork, and Elon Musk’s SpaceX. Drawing from the world’s largest database of codified marketing and emotional language, Persado’s AI-powered Cognitive Content platform designs messages that resonate with any audience, across any channel. Founded by Vratskides, Assaf Baciu, and Guy Krief, the company works with 100+ leading brands and Fortune 500 companies across multiple industries to drive engagement and incremental revenue. Using Persado, leading brands such as Citi, American Express, Microsoft, Staples, and Verizon have realized one billion dollars in incremental revenue and an average uplift of 49.5% in conversions across marketing campaigns. 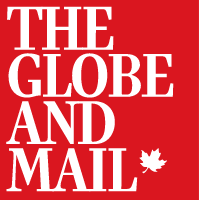 The company has raised $66 million in venture capital. Investors include Bain Capital Ventures, StarVest Partners, American Express Ventures, Citi Ventures, and Goldman Sachs. The award comes on the heels of a very successful 2016 for Persado. It was named one of 50 Companies Leading the AI Revolution by Fortune, a Cool Vendor in Data-Driven Marketing by Gartner, and Breakout Vendor in Content Intelligence by Forrester. For the full list of Disruptor 50 companies, please visit: http://www.cnbc.com/cnbc-disruptors/. Venture capital used to be a cottage industry, with very few investing in tomorrow’s products and services. Oh how times have changed. While there are more startups than ever, there’s also more money chasing them. In this series, we look at the new (or relatively new) VCs and their investing philosophies. We’re highlighting key members of the community to find out. Prior to founding StarVest, Sachar was responsible for direct private equity investments at Gabelli Securities where she sourced digital media investments in Multex Systems and the first institutional round of Digital River. 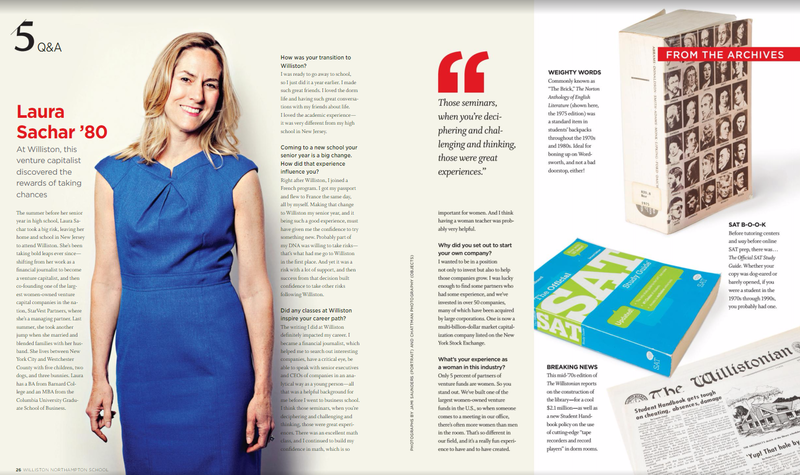 In the early 1990’s, she identified digital media as a growth area and founded Sachar Capital, which sourced Redgate Software as an investment opportunity for its Advisory Counsel. Sachar was the Founding Chairman of the New York New Media Association Angel Investors Program, a professional nonprofit organization in which she assisted hundreds of early-stage New York area companies in accessing initial capital. Laura has a BA from Barnard College, Columbia University, and an MBA from the Columbia University Graduate School of Business. Laura is a former member of the Young President’s Organization and a current member of the World President’s Organization. She is a Private Women’s Investor Network (PEWIN) Steering Committee Member. She has a Professional Director Certification with the American College of Corporate Directors. Laura Sachar: We invest in B2B technology companies, primarily around the United States, and we are generally looking to invest when companies have about $10 million or more in revenues. We invest at the cusp of growth equity or into growth equity and we are able to invest in a fairly broad range of size of investment. Our initial investments can be as little $2 million and up to $20 million. We bring some more flexibility perhaps than some other investors. We’ve invested in B2B technology for nearly two decades. LS: When we started the fund, we were investing in B2B because it was an outgrowth of our experience, as well as where we saw the world going. We were one of the earliest investors in SaaS, before it was defined as SaaS, and the cloud. We saw that trend early and also recognized the application of technology to solve business problems, and the ability to develop those kinds of companies throughout the country, not just in Silicon Valley. Today we see certain sectors within B2B that are growing rapidly, so we see huge market and growth opportunities. That, combined with our experience and our ecosystem, gives us a competitive advantage. We’re investing in AI (artificial intelligence)/machine learning, the Internet of Things, marketplaces, fintech, infrastructure around retail and e-commerce, and human capital management. While we’ll invest in a number of different areas within B2B, those sectors are where we’re primarily focused and that covers a lot of ground. We see a lot of growth within those areas and we’ve invested in many companies in those sectors, so we also bring experience with those successes. LS:. Persado is a New York-based company in our portfolio that was recently named to the 2017 CNBC “Disruptor 50” as one of the top disruptive companies. It is in the AI sector and provides artificial intelligence-generated cognitive content to marketing services and communications for top global brands. AI is certainly a growing sector that crosses a lot of verticals. We were an investor in Veracode, where I was on the board, and which was sold just this year to CA Technologies for over $600 million. Veracode is a SaaS security company; a lot of their customers were financial services and retail companies. Veracode is very classic of the kinds of investments that we make: a company that has a product that’s difficult to create, which has defensibility, and then is sold to enterprises, including large enterprises, where you’re able to grow the average contract value over time to be substantial. You “land” a customer, and “expand” into that customer by upselling. You’re forming partnerships and channels and eventually that becomes very attractive to a broad set of acquirers. Veracode is one example of a recent exit. And, we have had many others that were acquired by companies like Iron Mountain, Dell, Hearst, and other large corporations. The majority of our companies have been acquired; the exception to that is one that we’re known for: NetSuite, which was recently acquired by Oracle for nearly $10 billion. We invested when it had $100,000 in revenues, it went public on the New York Stock Exchange in 2007 and had $1 billion in revenues at the time of sale. That was one of the early leading SaaS companies. We are also an investor in an IoT company called RetailNext, which is a leader in data and analytics for in-store retail. They have many of the top retailers in the United States as customers, and also have expanded internationally. The company is growing rapidly and in a true leadership position within IoT. They sell both a camera that they manufacture, as well as software that provides the opportunity for retailers to get the kind of data and analytics that they’re now used to getting online with their consumers. We are also an investor in Snag-a-Job, the leader in sourcing candidates and providing services for hourly workers in service industries. In EPM (enterprise performance management), another leading SaaS company is Host Analytics, which provides planning, budgeting and consolidation solutions for the finance function. LS: We’re investing at a stage where the company is not a startup, where it has some revenues, customers and a team. Of course, we want to see a team that can execute, but team is something that a company grows and it evolves, so we don’t look to have a perfect team in place initially. We expect it to grow so it has a high-quality team that will attract other high-quality people as it expands to meet the needs of a growing company. So, the person who heads sales at a $5 million in revenue company can be the same or different for a company that has $15 million or $25 million in revenues. Part of the business is the culture, and it’s how the team works together. That’s very much tied to how the board is working and the investor group. You’re looking for something that has the elements to maintain momentum, or accelerate momentum, in the business and those are important factors. We look at those things, and obviously those things are always changing, so we don’t look at it as something that’s fixed and that has to be certain way going in. But we’re looking for a winning culture. The board and the investors are very much key drivers in a winning team, as well as management. They’re not separate. We want to see a company with a big market opportunity, and the ability to take a leadership position within their particular market. They should also have some defensibility against competition. For example, in the case of Veracode and Persado, they’re both SaaS companies where the more their technology is used, and the more data is captured, the better the solution becomes. That becomes a defensible position. Veracode could scan code and that meant that it became better and better at that, and so its solution became much harder for others to compete against. We invested in a company called Fieldglass that was bought by a PE firm and then SAP for $1 billion. These are companies that have been able to stay ahead of what their customer needs and become a partner with their customer in order to be on the forefront of what that sector is looking for, to bring them what those customers need. LS: It’s not a fixed number, but it’s a threshold that’s important to us, which acts a good guide post. If a company is at or around $10 million in revenues, and it’s in B2B in one of the sectors we look at, it’s a great fit for us. LS: We’ve been in this B2B ecosystem for a while, and so we’re proactive. Because we’ve invested in companies in the sector, we certainly have people who we’ve either backed before, or invested with before, or who we work in industry groups with. We have a relationship with them and they’ll think of us as a good investor, especially if they see a SaaS opportunity. At the same time, we don’t rely on that and we’re very active participants in different industry groups. We’re always attending events and developing relationships that we think are helpful. We think all of that is very important. In terms of timing, we’re competitive going from due diligence to being able to close. VN: These days a seed round is yesterday’s Series A, meaning today a company raises a $3M seed and no one blinks. But 10 years ago, $3M was a Series A. So what are the attributes of a seed round vs a Series A round? LS: There’s been a trend where companies have been able to raise a lot of money earlier in their lifecycle than companies have in the past. Therefore, companies are taking longer to exit, so, in total, they’re having to raise more money. The problem some companies run into is that they have not always been as capital efficient and then, with competition to get money into certain deals, have had their valuations pushed up, where the company then has to grow into that performance. If they don’t, and they have further capital needs, then they’re getting themselves into a not ideal situation. I think some of the large rounds, and some of the high prices, have put some companies into positions where they didn’t fully appreciate the risk that they were taking on to do that. If you have companies that are influenced not be capital efficient, or you have companies where the valuation was inflated and then they have to raise money at a lower valuation, that can certainly impact how successful they are in building the business, as well as impact employee morale and their access to future capital. Those are all real issues. LS: I graduated from Barnard College, worked in investment banking for a couple of years, then became a financial journalist. I then went to Columbia Business School to make a career change. I really had loved the process of being a journalist, of collecting information, analyzing it, having a critical eye, and I think I was able to apply a lot of that to the due diligence process and the process of building relationships and finding and analyzing deals. I had a passion and a drive to start a venture fund in 1998 and played a catalyzing role in forming StarVest. My partner, Deborah Farrington, had extensive experience in both operations and venture investing, so we combined that with some more traditional experience, which led to us raising a fund with institutional backing. I’ve enjoyed over nearly 20 years of investing in over 50 B2B companies where we’ve been active as board members and contributing to those companies and growing. I have a background before StarVest, but StarVest is very much a part of my professional career. LS: The talented people I get to work with. The talented CEOs that are able to build successful companies and to invest in them with capable people. So, it’s the people and capabilities of people and the intellectual challenge. LS: We have invested from several funds with over $400 million under management. We’re investing now out of a $245 million fund, and we also have a pledge co-invest vehicle that we’re making new investments out of. We do those investments on a deal by deal basis, and that has allowed us to scale to make larger investments. LS: We can go in as an initial investment with as little $2 million and up to $20 million. We can look at a range to follow the company through until it would be cash flow break even. We would look be able to meet our pro rata. LS: Historically, we’ve had anything from 10 percent to 25 percent. Going forward we’ll be more flexible because the approach we’re taking allows for that. LS: We are in the later part of the $245 million fund, and in the early part of the pledge fund. LS: Depending on the stage, it would be anything from 30 percent to 50 percent. In other words, if you put in $8 million, you’d look to put in another $8 million over time. It depends on the cash needs. Some of these investments are later and they don’t need as much follow-on cash. LS: We’re looking at Series B and C deals. LS: We are aiming to make four to five investments a year as a firm. We really do work as a team. 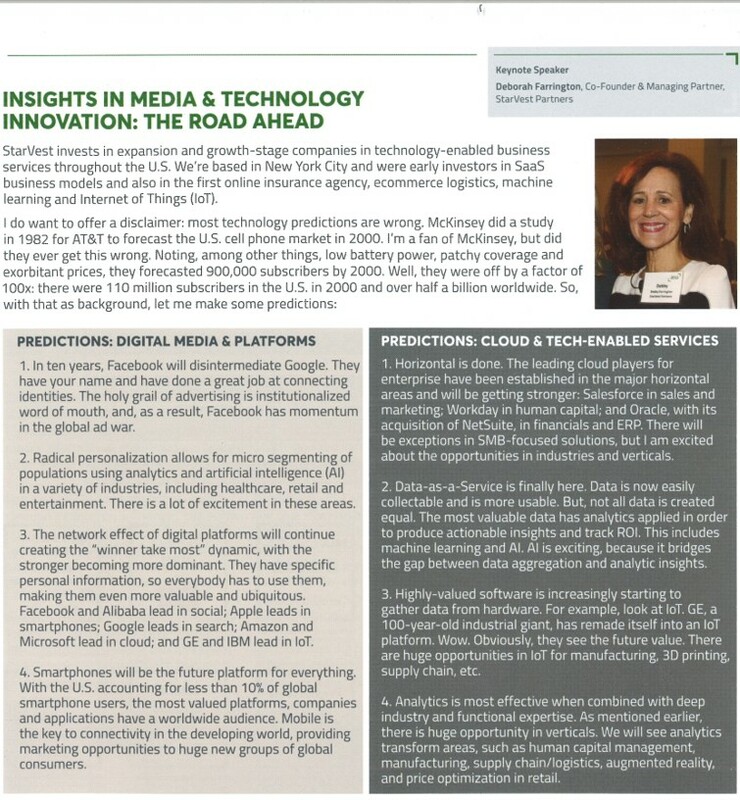 Deborah Farrington featured in this month’s JEGI Client briefing discussing insights in media & technology innovation. Click below to see more. StarVest Partners II Portfolio Company Veracode will be acquired by CA Technologies for approximately $614M. RetailNext, which analyzed 31 million shopping trips, estimates that sales at brick-and-mortar chains fell 10% in November and December, while traffic declined 12%. But the average transaction value increased 5%, softening the blow. From Business Wire: NEW YORK–(BUSINESS WIRE)–Ceros, the interactive content marketing platform, today announced $8 million in Series B funding led by Grotech Ventures with participation from CNF Investments and existing investors. Existing investors include Sigma Prime Ventures, StarVest Partners, Greycroft, and Silicon Valley Bank. Today’s funding will be used to further product development, expand the platform’s reach, and rapidly scale sales, marketing, and client services. As marketers continue to increase their investments in content marketing and seek to deliver engaging and compelling storytelling, Ceros’ traction across verticals has dramatically increased over the last twelve months. The company is now working with leading brands like General Electric, LinkedIn, Red Bull, and United Airlines; B2B companies like AddThis, EverString, GumGum, LogMeIn, and SoFi; publishers like Adweek, Bloomberg, NBC, and XO Group; and sports brands like the Baltimore Ravens, Dallas Cowboys, and Minnesota Vikings. Ceros’ platform empowers marketers and designers by giving them the tools to create compelling interactive content and measure its performance. With Ceros, brands can create stunning experiences that encourage active participation, inspiring brand loyalty and customer advocacy. As Ceros does not require advanced technical skills, the platform is uniquely able to provide marketers the solution they need to scale engaging content without incurring high costs associated with development resources. Ceros most recently raised a $6.2 million venture round in April 2014; their total funding raised to date is $16.45 million with today’s announcement.